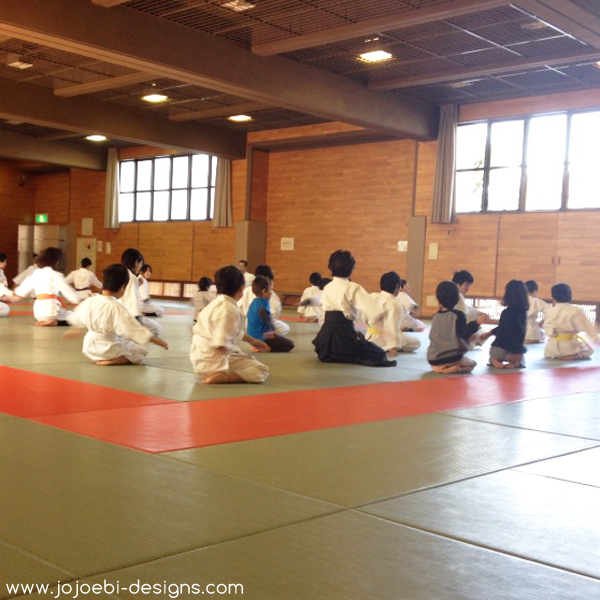 Sunday, Ebi-kun went for his second Aikido class. The first week he was a be bemused and unsure, probably because it was all new and he had no idea what to expect. This week went a lot better. Then they split into three groups adults and older kids, kids and newbies. The adults take it in turn teaching the kids. 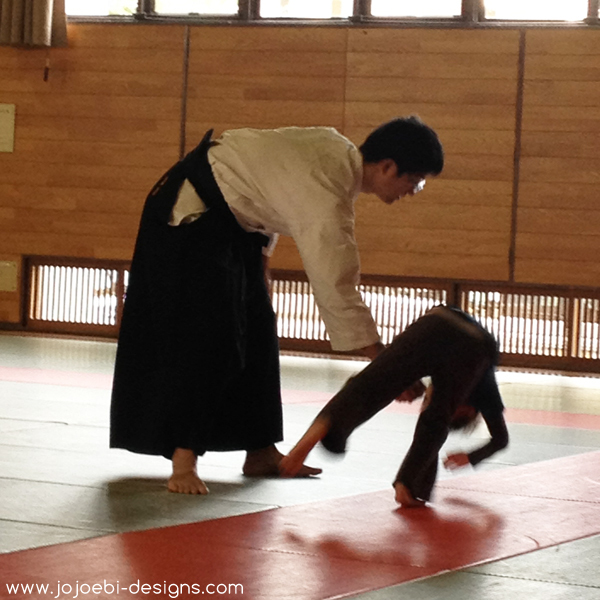 One of the most important aspect of Aikido is learning to roll/fall properly so there is a lot of throwing yourself around and a lot of others throwing you around. 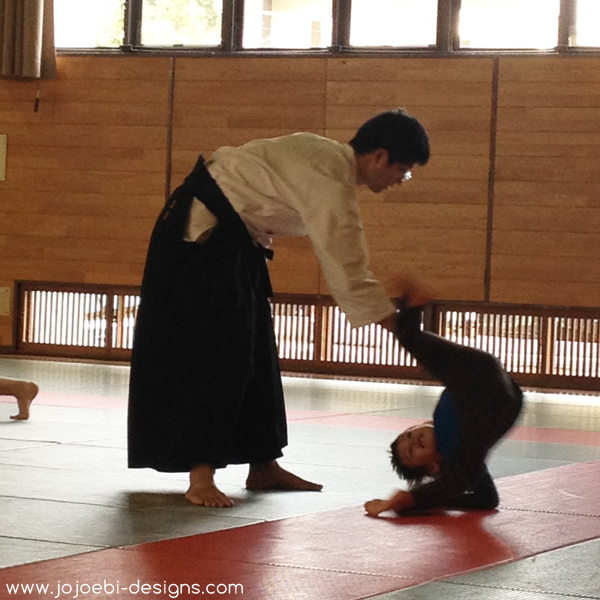 This exercise the sensei throws each person 10 times in quick succession - the ones that have been doing it for some time are so smooth and fluid, they make it look so easy! Despite it looking painful, as long as you do it properly, it's not. The great thing about this club is that there is no pressure to join, they said that often it takes a while for kids to decide if they really want to do it, so we can keep going for free until he wants to commit, same goes for the gi, no need to buy it until he is ready to commit. I really like this, it takes the pressure off having to make a decision, we can just see how it goes. 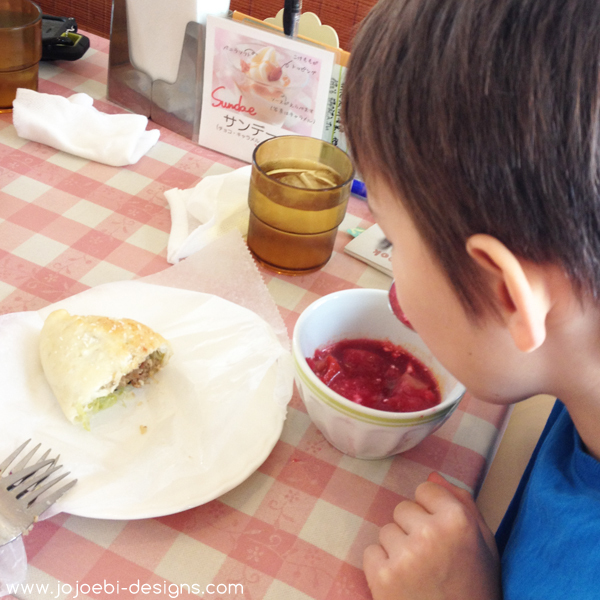 When class has finished we went for lunch and tried out a Russian restaurant, we had borscht and piroshki, the piroshki were delicious. 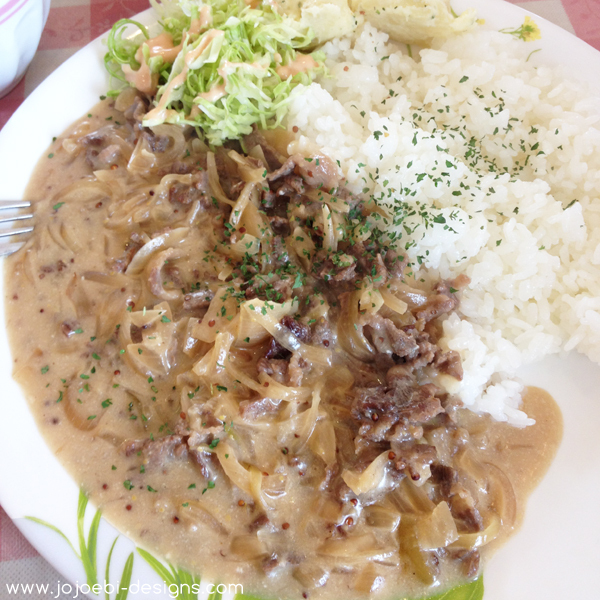 Then we had stroganoff, I had the beef and the boys shared the shrimp. I have never been to Russia so I don't know how authentic it all was but it tasted great!